Richard Doyle (1824-1883), uncle to Arthur Conan Doyle, worked as a prominent illustrator and political cartoonist in London’s periodical publication trade. In the 1840s, Richard provided over 1,000 drawings for the popular magazine Punch, and established connections with the foremost novelists of the day, including Charles Dickens and William Makepeace Thackeray. Thackeray later invited Doyle to illustrate The Newcomes, his serialised novel appearing between 1853 and 1855. 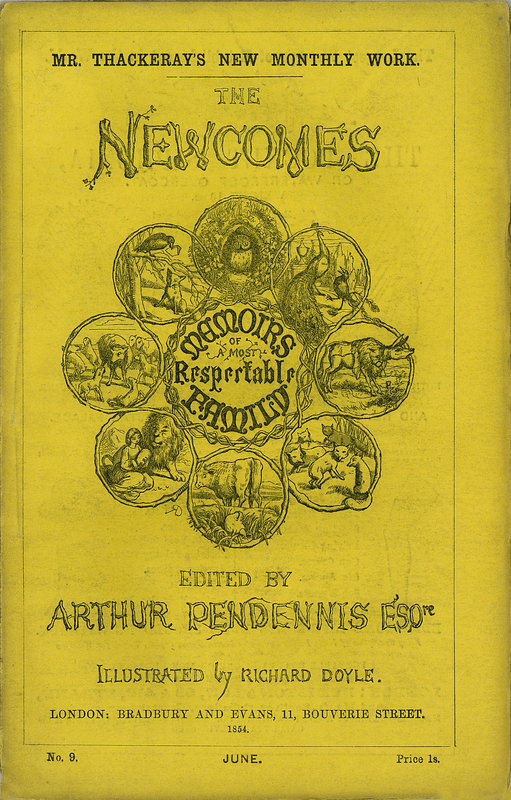 William Makepeace Thackeray, “The Newcomes,” ourheritage.ac.nz | OUR Heritage, accessed April 26, 2019, http://ourheritage.ac.nz/items/show/10211.